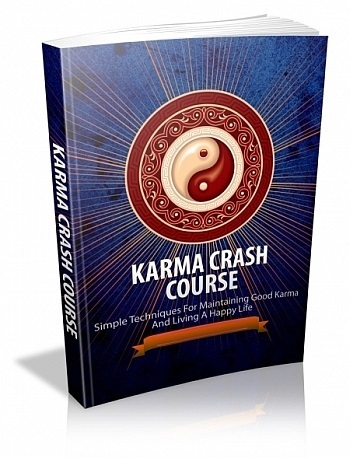 Simple techniques for maintaining good Karma and living a happy life … When unexplainable things happen most people claim it to be karma, destiny or fate. These things supposedly happen at random and have no real tangible connections, or so it is popularly believed. However, from time beginning this theory has been proven to be untrue. Everything and everyone is intimately and intricately linked one way or another. Those lucky few who are able to attain a level of oneness are able to discern this phenomenon. Basically the karma of an individual is linked to the emotional resonance which is either consciously or unconsciously projected or attracted. Literally speaking one attracts what one gives out. The way that this individual response and attraction works is by the frequency it draws to form the balance of energies on a spiritual level. Every emotional state dictates the people and energies drawn to it. If the positive energy is strong and inviting then it in turn will attract like-minded individuals with the same positive energy. Good karma can be incorporated into an individual’s life with a little or in some cases a lot of conscious effort. Good karma gives out good positive energy which in turn attracts good energy.